Shopping for a Mirrorless Camera? Here is a question that I have been asked many times. Why did you switch to the “mirror-less” camera system? My answer is quite simple, its all about not compromising the image quality and reducing camera size and weight. As these cameras do not have flip-up mirrors the distance from the lens to the sensor is greatly reduced resulting in lenses that have a smaller form factor and are also lighter. As a result, I can carry all my gear in a much smaller bag or carry-on and not have to worry about checked luggage during my travels. The next set of questions typically revolve around the quality of images; the focusing speed; noise because of the smaller sensor; battery performance; etc. Before the advent of mirrorless cameras, DSLR’s were based on the same design as film cameras. The film was replaced with an electronic light capturing device called the sensor. Computers, memory cards and batteries were added to complete the image capture process. All else however, remained the same. A mechanical mirror that is used to reflect light up and through a pentaprism into an optical viewfinder remained as the standard. Each time you press the shutter the mirror flips up and the sensor is exposed to light and captures the image. With the advancement of technology and innovation this flip-up mirror and mirror box is no longer required. The sensor has a clear view of the image as projected through the lens and the electronics used to capture the image are used to display the image onto the LCD screen. Optionally the image is displayed in the electronic view finder (EVF) that is like a miniature LCD screen. No more flip-up mirrors. Now DSLR’s have incorporated some of this technology in what is termed as “Live View Mode” but unfortunately, some manufacturers have not taken this concept to the next level. Mirrorless cameras can be categorized the same way as DSLR’s where you have APS-C sized sensors, Full Frame sensors, etc. The mirrorless world for comparison purposes, has three sensor sizes that have gained acceptance as replacements for DSLR’s. 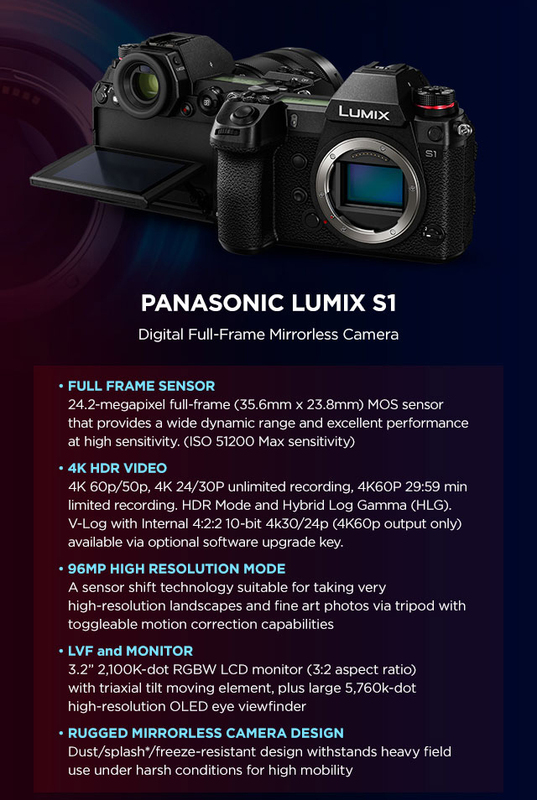 The smallest are the Micro Four Thirds (MFT) cameras made by Panasonic and Olympus, APS-C sensor cameras made by Fuji, Samsung, Sony and others and the Full Frame cameras made by Sony. The sensor size of these cameras have the same crop factor considerations as do DSLR’s. The APS-C crop factor remains at 1.5 and the MFT sensor has a crop factor of 2. Based on the crop factor, higher depth of field is achieved with the smaller crop factor and results in less bokeh. 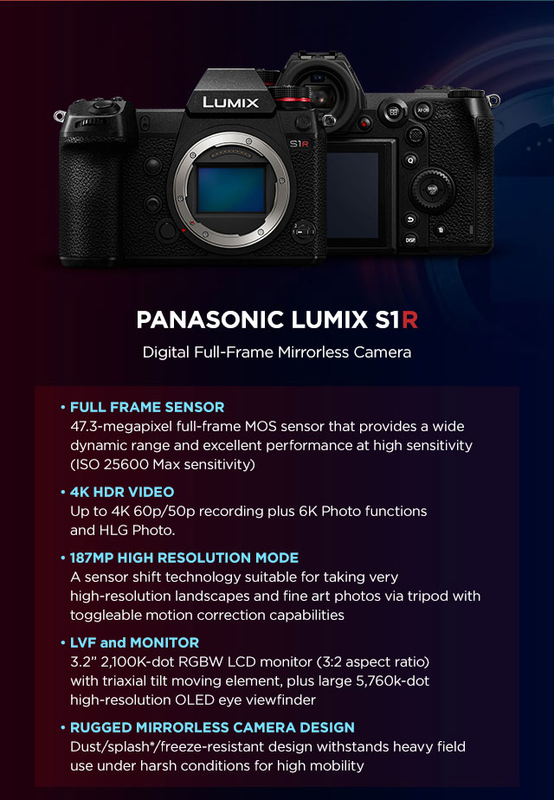 Based on your style of photography and the subject matter, the range of full frame to a MFT sensor size body gives you all the choices you had with DSLR’s. As to focusing performance, DSLRs have some advantages. The dedicated phase-detect AF systems are very good at tracking subjects that are moving toward or away from the camera. In addition they also have an advantage focusing in low light situations. Conversely mirrorless cameras are excellent at lateral tracking. As the sensor in the mirrorless camera is always live it is capable of analyzing the subject and and tracking it as it moves across the frame. With the introduction of Panasonic’s “Depth From Defocus” technology depth tracking has been greatly improved. What about quality? 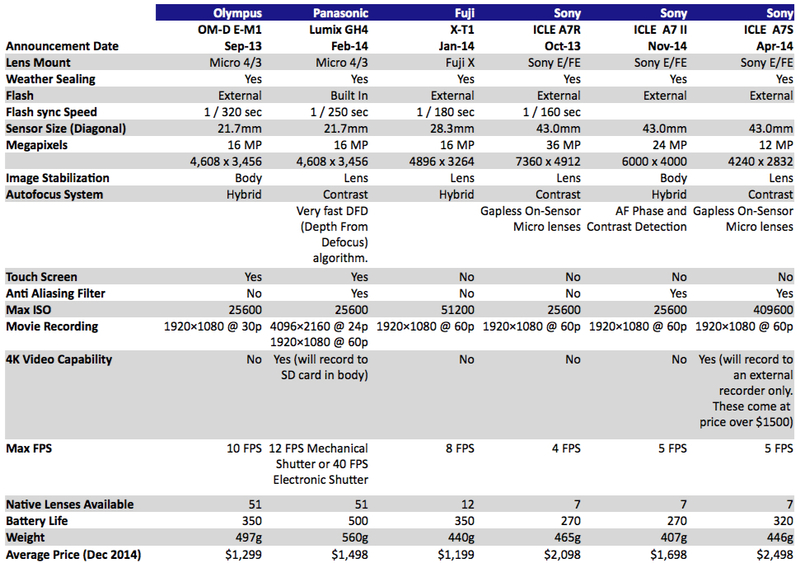 On the high end the Sony A7R has a 36.4 MP full frame sensor. The Nikon D810 utilizes a 36.4 MP sensor made by Sony. Image quality is exceptional. The elimination of the Anti-aliasing filter allows the camera to capture exceptional detail and clarity. The APS-C form factor has been popular with a majority of the prosumer range of DSLR’s on the market and has been the choice of many pro photographers too. The MFT cameras and that sensor size is new in comparison but the images from the MFT cameras are at par with the APS-C format cameras. ISO Sensitivity. If there is any doubt, all one needs to look at is the sensitivity of the Sony A7S with a max ISO of 409600. The camera can practically see in the dark. It is important to remember that ISO sensitivity has no bearing on the type of camera, DSLR or Mirrorless. The size of the sensor and the size of the pixels make the difference in light gathering capability and noise generation during image capture. Let’s look at some of the pros and cons for mirrorless cameras. The ability to view the image in the viewfinder and the LCD screen in realtime. The ability to view all or select any of the camera settings live. The ability to view any changes to camera settings without having to take your eye away from the viewfinder. Focus peaking and zebra stripes. Focus peaking allows you to see the areas within your image that are in focus. This can be displayed using selectable colors. 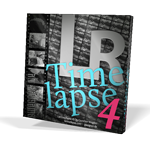 Zebra stripes show you in realtime areas that are going to be exposed with loss of detail in the highlights. The ability to use most DSLR and Film camera lenses with adaptors. You do not have to get rid of all your great glass. You may not have the ability to maintain electronic communication with the lens but they will work perfectly well in manual mode. With focus peaking, the process of obtaining good focus is simplified. Electronic shutter – low to no sound when capturing images. A feature so important for nature, wildlife and street photography. No mirror, hence no mirror slap and vibration during image capture. Battery life – with the exception of the Panasonic GH4 most other cameras have a very low battery life. These cameras are constantly drawing power feeding the LCD, electronic viewfinder or both. Due to the size of the mirrorless bodies, the batteries have been downsized too and hence have lower capacity. Electronic viewfinder and LCD refresh performance is limiting particularly in low light scenarios. Focusing speed of mirrorless cameras had been an issue but most manufacturers have addressed this with firmware and focusing system enhancements. For general purpose, nature/wildlife and people photography – the Panasonic Lumix GH4 is superb with the Olympus OM-D E-M1 a close second. For detail and landscape photography – the Sony A7R is my choice. The A7 II, though I have not tested it appears to be a more forgiving camera and adds in camera image stabilization. For low-light photography – the Sony A7S is hard to beat. 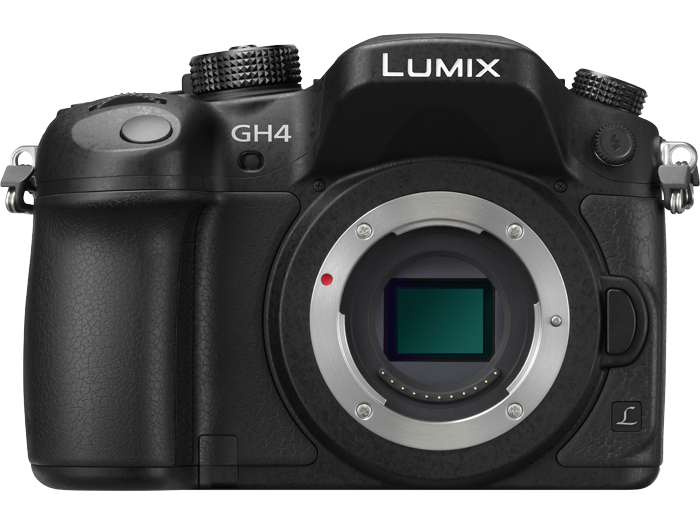 For video – the Panasonic Lumix GH4 is a hands down winner. The Sony A7S is very good but does not shoot 4K video to the camera. I own or have used the following: Panasonic GH4, Olympus OM-D E-M1, Fuji XT1, Sony A7R and Sony A7. 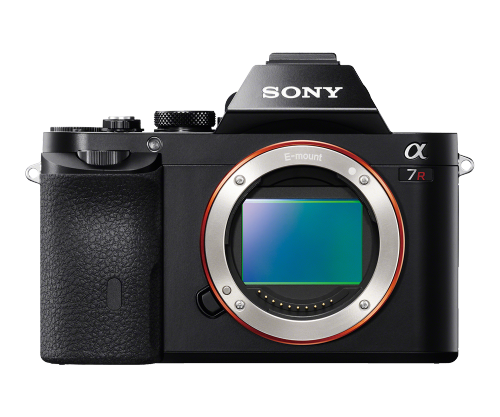 My comments on the Sony A7S and the A7 II are based or reviews and video samples captured by photographers’ whose opinion I value. The greatest lens selection is available from Panasonic and Olympus while Sony is still limited to 7 full frame E mount lenses. Panasonic and Leica have jointly produced some exceptional lenses as have Sony and Zeiss with their collaboration. By no means is this post meant to be a full review but a quick personal impression. Please do look at various reviews available on the internet for a more thorough analysis. However, I hope this helps you make your holiday shopping a little less confusing. Camera Labs is one of my preferred sites for honest in-depth reviews. 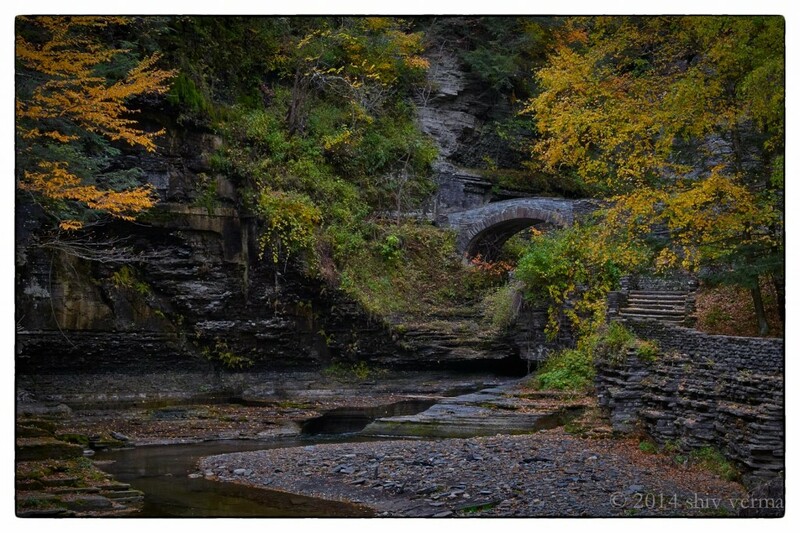 With most of the foliage gone in the northeast and what is left will be gone after this semi nor’easter or tropical storm here are two more images from Ithaca region. 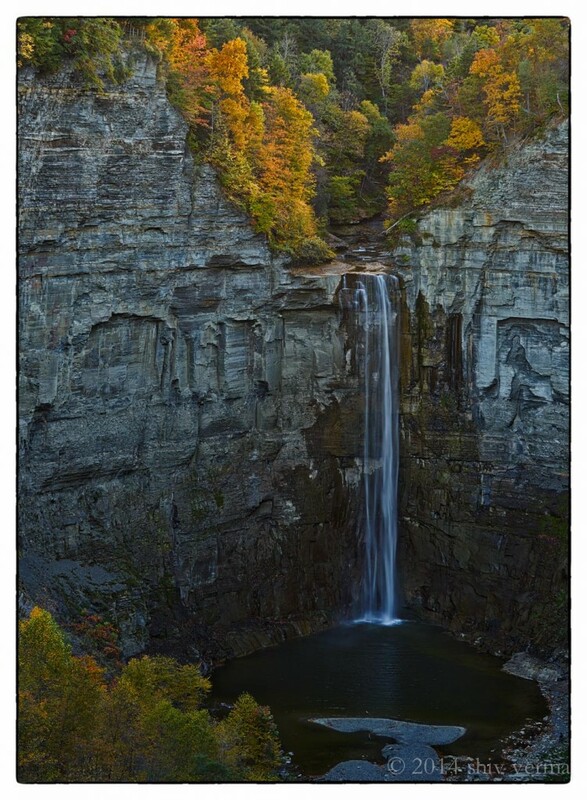 This image is of Taughannock Falls taken from the deck by the parking lot above the gorge. This vantage point give the falls a totally different perspective. I am planning on doing a winter trip to capture these falls when the sides and rock faces are covered with ice. This next image is from the gorge that leads to Lucifer falls. Another area that could be interesting in the winter. If any of my blog followers have experienced these falls in the winter, please share your thoughts. Was in New Hampshire yesterday so drove to Sugar Hill for some lupines. What a pity – the fields have a handful of flowers. It seems the weeds have choked the lupine plants. 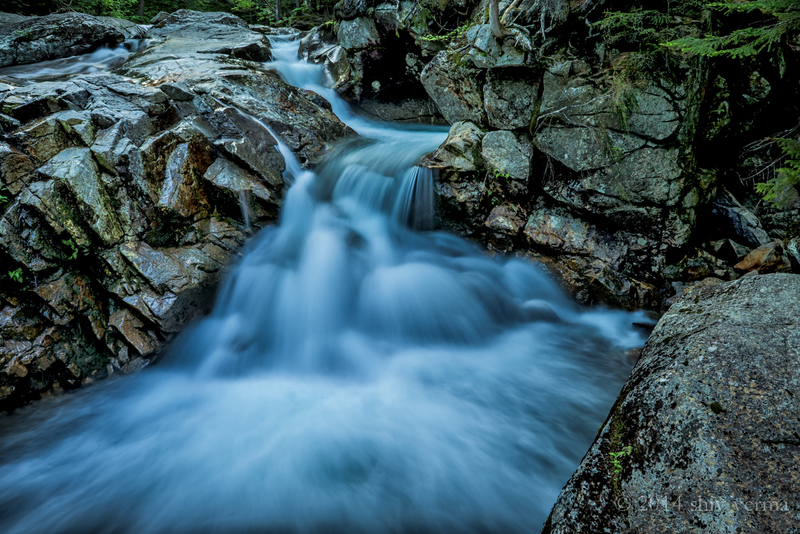 On the way back, stopped at the Basin and took a few images with the Sony A7R, 28 – 70 f/3.5 – 5.6. Did not have any ND filters on hand so used ISO 50, f/22 for a 2.5 second exposure. The A7R has excellent dynamic range – impressed. Click on the image to view larger.